MindTickle provides a comprehensive, data-driven solution for sales readiness and enablement that fuels revenue growth and brand affinity. Purpose-built applications, proven methodologies, and best practices are designed to drive effective sales onboarding and ongoing readiness. With MindTickle, company leaders and sellers can continually assess, diagnose and develop the knowledge, skills, and behaviors required to effectively engage customers and drive growth. Companies across a wide range of industries use MindTickle’s innovative capabilities for on-demand, online training, bite-sized mobile updates, gamification-based learning, coaching and role-play to ensure world-class sales performance. 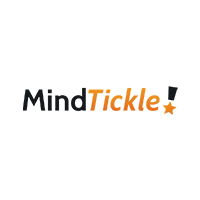 MindTickle is a global, privately-held company headquartered in San Francisco, CA.